Support World Fish Migration Day 2014! Three very different freshwater fishes are among ten animal and plant species highlighted in a new WWF report entitled ‘Extra Terrestrial’. Among the 126 species newly identified by scientists in the Greater Mekong region in 2011 new were a bat named after its devilish appearance, a subterranean blind fish, a ruby-eyed pit viper, and a frog that sings like a bird. “While the 2011 discoveries affirms the Mekong as a region of astonishing biodiversity, many new species are already struggling to survive in shrinking habitats,” said Nick Cox, Manager of the WWF’s Greater Mekong Species Programme. A new ‘walking’ catfish species Clarias gracilentus Ng, Hong & Tu 2011, discovered in freshwater streams on the Vietnamese island of Phu Quoc, can move across land using its pectoral fins to stay upright while it moves forward via snake-like movements. A beautiful miniature fish, Boraras naevus Conway & Kottelat 2011, just 2cm in length, was found in southern Thailand and named after the large dark blotch on its golden body, naevus meaning ‘blemish’ in Latin. 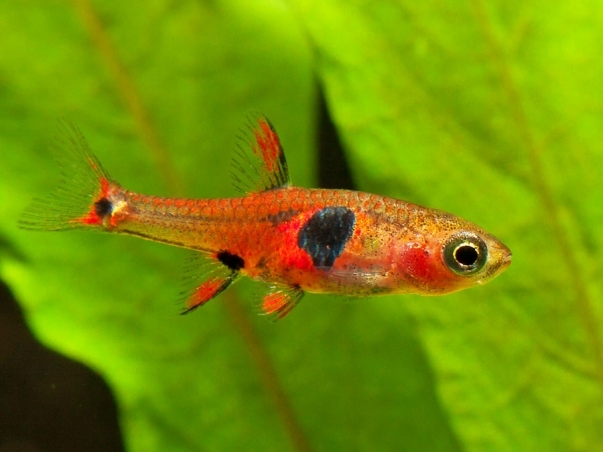 It’s already known to aquarium hobbyists and is sometimes referred to as B. sp. ‘strawberry’ or B. sp. ‘red micros’. 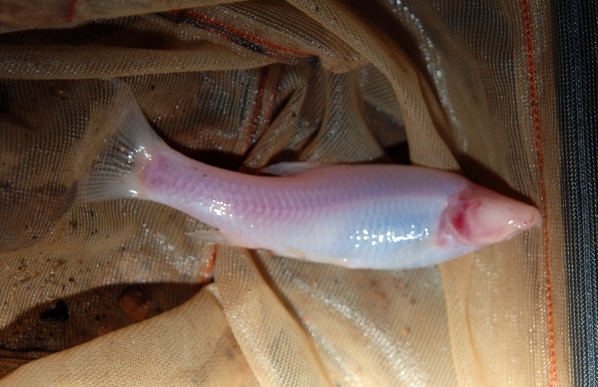 A pearly, rose-tinted cyprinid fish was discovered in the Xe Bangfai catchment, a Mekong River tributary in Central Laos that runs 7 km underground through limestone karst. The hypogean Bangana musaei Kottelat & Steiner 2011 is totally blind and was immediately assessed as vulnerable due to its restricted range. The Mekong River supports around 850 fish species and the world’s most intensive inland fishery. 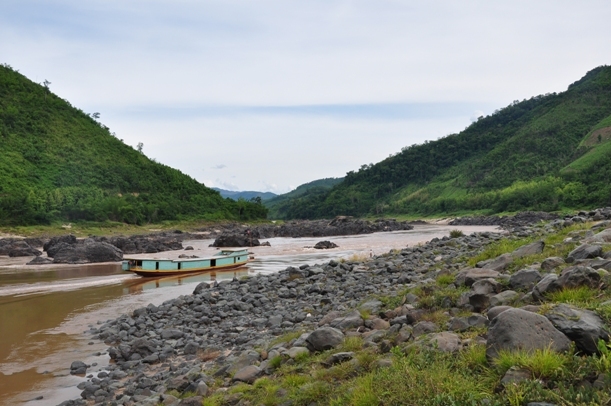 Laos’ determination to construct the Xayaburi dam on the mainstream of the Mekong River is a significant threat to the Mekong’s extraordinary biodiversity and the productivity of this lifeline through Southeast Asia that supports the livelihoods of over 60 million people. Extra Terrestrial spotlights 10 species newly identified by science, among the 82 plants, 13 fish, 21 reptiles, 5 amphibians and 5 mammals all discovered in 2011 within the Greater Mekong region of Southeast Asia that spans Cambodia, Laos, Myanmar, Thailand, Vietnam and the south-western Chinese province of Yunnan. Since 1997, an incredible 1,710 new species from the Greater Mekong region have been described to science. May we also extend congratulations to friends of SF Peter Macguire for his superb photos of Boraras naevus which are featured in the report, and Dr. Ng Heok Hee who co-described Clarias gracilentus.